The 75th pavilion at VDNKh. The 29th Moscow International Book Fair kicks off on Sept. 7 at VDNKh, and here are the highlights of this year’s event, according to RBTH. 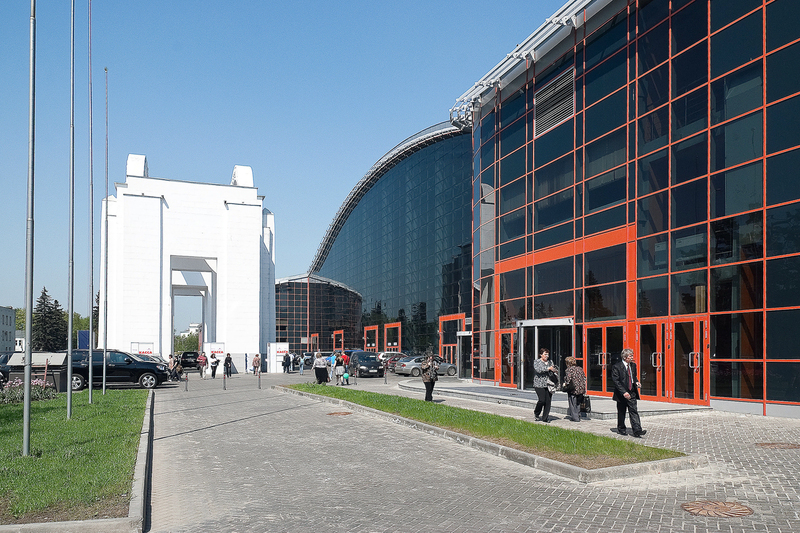 The 29th Moscow International Book Fair (MIBF) will be held from Sept. 7-11 at VDNKh, one of the most popular public spaces in Moscow. Around 600 events are on the agenda at this year’s fair, featuring the participation of 500 publishing houses. Almost all the events are held in Russian, but we hope that won't stop real fans of Russian literature from joining in. Guzel Yakhina: Her novel Zuleikha Opens Her Eyes, about a repressed Tatar Muslim peasant woman, was the main literary event of 2015. Traditionally opening the fall book fair season, MIBF presents the main new books of the year. For example, this year a new novel by Victor Pelevin will be introduced to a wider audience – Methuselah's Lamp, or The Last Battle of the Chekists and Masons. Since his last novel about the Solovetsky Gulag, The Cloister, Zakhar Prilepin has released a volume of short stories and is currently engaged more in publicity. At the book fair he will present his book of essays and articles Everything That Should Be Resolved… A Chronicle of Ongoing War. Prilepin has accompanied humanitarian missions to the Donbass in eastern Ukraine several times and in this book he acts as a chronicler and military correspondent. The year 2016 has been designated a Russia-Greece cross-cultural year. In May Russia was honored guest of the Thessaloniki International Book Fair, where Russia prepared a big cultural program. This is Greece's turn to represent its main events in literature and cinema and to host interactive Greek language courses. Greece’s 91-year-old writer Alki Zei will come to the fair specially to present her book TheTiger in the Shop Window (a.k.a. Wildcat Under Glass), which has been translated into all major world languages and which was reissued in Russia this year. A total of 37 foreign delegations will try to reveal their countries' traditions and culture though literature. Forty-eight publishing companies will come from China, and a master-class in Chinese will be held for students. Meanwhile, Cuba will give visitors to the fair the chance to examine rare photos and learn interesting facts about the life of Fidel Castro, who celebrated his 90th birthday this year. Armenia will show an album devoted to Soviet poet Osip Mandelstam’s extended stay in the Caucasian country in 1930, titled Armenia po Mandelshtamu (“Armenia in the Footsteps of Mandelstam”).